Captivated by a Schubert music festival in the Martinborough Town Hall in 1996, and between concerts, we wandered into a local real estate office. A whistle stop tour followed and the same gently undulating paddock appealed to us both. The rest, as they say, is history. 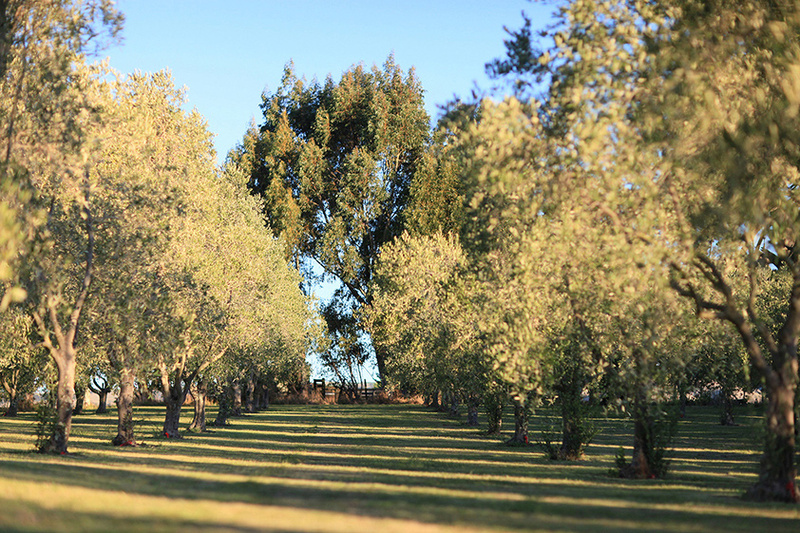 Left Field Olives evolved from an initial desire to enjoy some of the wonderful ambience and climate of Martinborough. Our 4-hectare (10 acre) property was formerly part of a traditional longstanding sheep farm. Initially we were content for the adjoining farmer to graze the property, and then growing olives seemed a rare opportunity to join a very new but vigorous industry where commercial entry at a boutique level was still possible. Professional advice we were given was that a “cocktail” of varieties was an important safeguard. It was still an unknown quantity at that time as to which varieties would fare best in the Martinborough climate. This culminated in planting around 450 trees comprising Frantoio, Leccino, and Pendolino varieties from Italy, Barnea from Israel and Manzanillo from Spain. In turn this led to a search for a house suitable for removal to the site. This was realised in 2001 and we spent many happy hours in rain and mud, dust and debris, as our forlorn villa, found in Dannevirke, was delivered in three pieces and slowly reassembled. The first harvest in 2003 comprised 12 kilos proudly delivered to press. The following year we achieved a commercial quantity of over 50 litres of oil that gained a silver medal followed by our first gold in 2005 and an ONZ (Wairarapa) best in show. In succeeding harvests our oils have consistently been highly awarded. Over the years Left Field oils have been sold throughout New Zealand, and featured at weddings, festivals and as company gifts. Since 2007 and subject to availability, Left Field olive oil has been promoted and offered as a menu item at a London Restaurant "Lola & Simón". We have also conducted tastings at this venue.